During this webinar you will learn about your rights to invoke the appraisal clause of your assigned claims and how the IGA Total Shop Management included membership benefit can help reduce or eliminate issues related to steering, short-pay, inspections, and more. Last edited by Gary Hart; 06-04-2014, 02:20 PM. Here is a chart that will help everyone understand the process of invoking the appraisal clause. Talked to a buddy of mine today that was estatic over the results he got in appraisal. He said it even went to an umpire. It sounds like this may be another tool to determine "real world" true market pricing instead of the crap they are trying to shove down our throats and telling us it's honey. 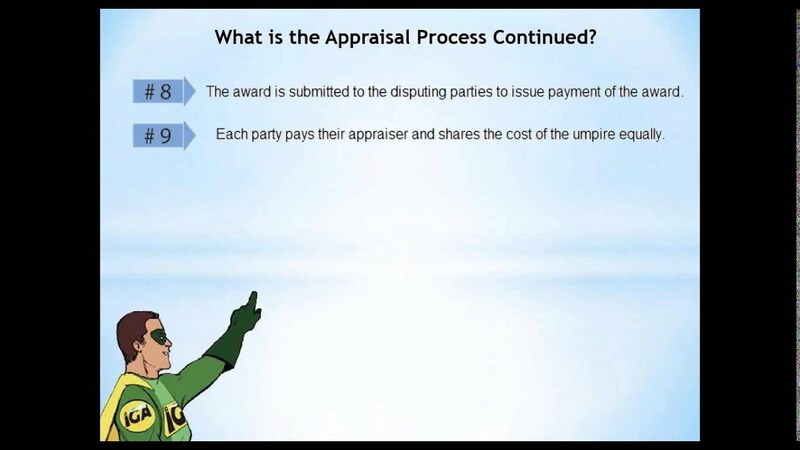 Rocker, did you have the opportunity to hear the appraisal webinar? From what I am hearing appraisal letters are being received by shops at a brisk pace. It certainly looks like appraisal will be a tool used by Insurance Companies in an attempt to circumvent litigation and arbitration in places where they are working well for the shops. I am not sure if they have factored in that, with a professional appraiser, the shop can have similar results in much quicker fashion with appraisal. Not to mention that the shop has the right to use it for tough short pays by invoking on the Insurance Company. If the phrase, time is money, has any creedence, than appraisal has great value when stacked up against arbitration and even more so litigation. What seems to be working best in your neck of the woods Rocker? If anyone sees this post and has been invoked upon I would love to know what state you are in.